I still have not found a living blood relative, although I did find one related by marriage to Kunigunda Hasselbacher. Kunigunda changed her name to Ida and married John Adam Biesack. Her death record is below. I was startled to see that she was still alive in my lifetime. I did an extensive search for Bisacks and found one to correspond with. I have not added their family tree to mine yet, but my work is available in the family tree section of ancestry.com . 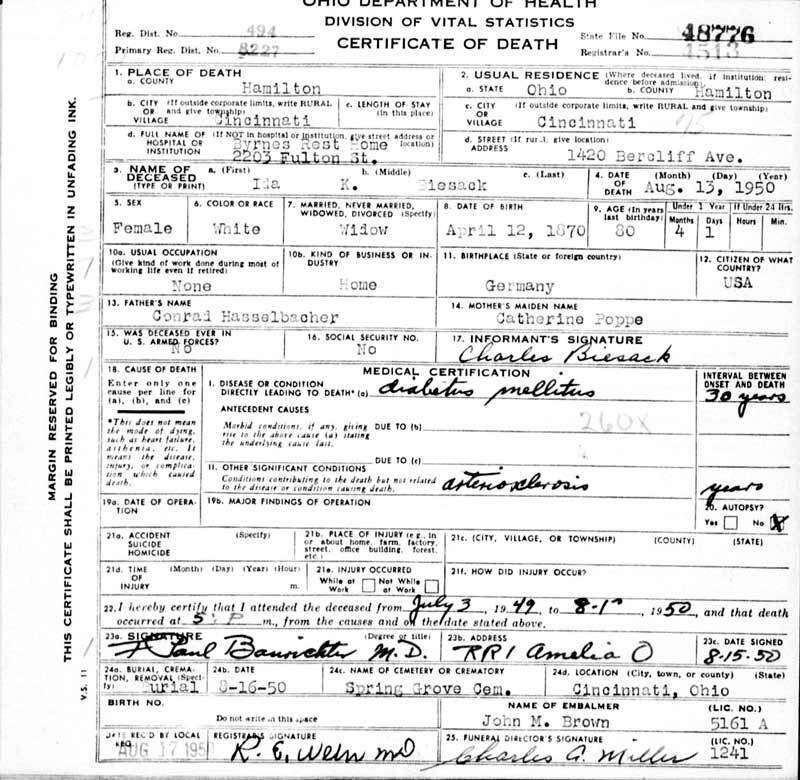 The death certificate is signed by Charles Biesack,but I do not know who that is. To my knowledge Kunigunda and John had two children: Karl born 1902, and Katherine M. who married a Mr Albiez but who by report of family did not have any children. This could well be incorrect. Peter Hasselbacher, 4/26/2009. Contact me.